I was supposed to watch this film at MAMI. But it clashed with Holy Motors, so I did not. And now I know why my friends made fun of me for missing it. Ilo Ilo is one of those most amazingly made neo-realistic films of recent times. It revolves around a Singaporean family during recession and is not only grounded to reality but also aesthetically so powerful that one would forget that they just watched a film. Its a rare experience. The movie weaves itself invisibly into the lives of four people, three – a family, one – a Filipino maid. The intricacy of their relationships and individualities is the matter our filmmaker holds on to – to tell us this story. Watch it – because its beautiful. That film which introduced me to Leos Carax. One of the most uncanny, perplexing, pure and contentious romance I have ever seen. Its a simple but complicatedly interweaved story of a young, homeless couple who fall in love while living in Paris’s oldest bridge, Pont Neuf. Michele is an artist with a rare eye disease and Alex is a circus performer addicted to alcohol and sedatives.While in the first half of the film, I was in the process of understanding this filmmaker’s perspective, with on and off feelings about it, the second half of the film completely caught me in its web. Alex falls madly in love with Michele and while she is trying to get over her failed relationship, Julian – she also finds a dependable companion, soon-to-be-lover in Alex. But he is scared that she will leave him if her eye is cured and thus, tries to keep her away from it but eventually ‘hope’ finds its way to the bridge and when the film culminates, you can’t help but wonder how purely magical cinema could be. This feature starring Juliette Binoche and Denis Lavant, has sucked up the best of them – you’ll be amazed by its intensity. You don’t have to see fire to feel the heat. My favourite scene is the last one – the one before they fall from the jeep – the one with her joke and both of them laughing. It had been some time since I had walked out of a theatre and felt so elated, excited, satisfied and out of words. I absolutely loved the film and so did many people who walked out screen 1, Metro cinemas, Mumbai. After watching a film like that? Pure happiness.Short term 12 is the story of a young girl who works as a supervisor at a foster care facility for at-risk teenagers and lives with her long term boyfriend and co-worker, Marcus. Her own troubled past helps her to understand and fully empathise with the characters. The film explores her and Marcus’s relationship, who absolutely dotes on her and with the arrival of another troubled kid Jayden, they both find a friend in each other and it gets better when you watch it. There is nothing extraordinary about the film. 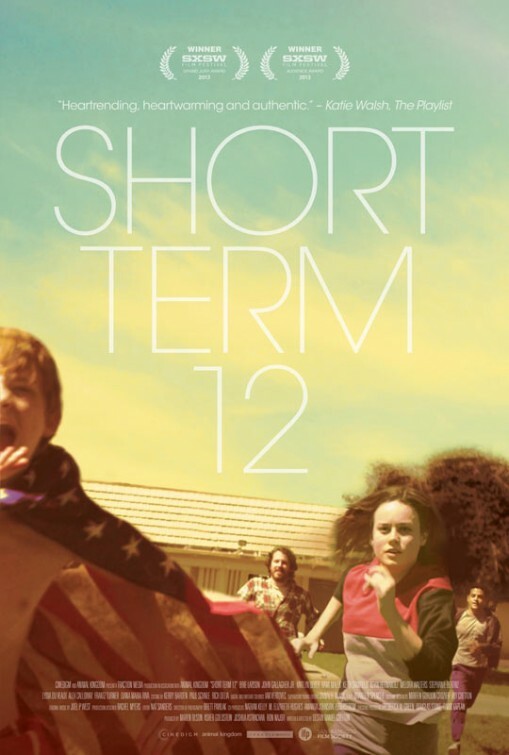 The fact that it manages to touch you with its sensitive approach to a topic like that and every visual so emotively expressed and without not being melodramatic – that makes Short term 12 a complete and an outstanding film. Loved every minute of it. You’ll be amazed at what the master manages to do this time. After films like A separation, About Elly, he has again managed to blow our minds with this absolutely enthralling feature called The past. The story starts with Marie waiting in the airport to pick up her soon to be ex husband Samir. As she calls him through the glass window, he could not hear and when they eventually meet, the story unfolds. In the entire film, nothing is obvious – everything is told but again not in an obvious way. Asghar Farhadi again manages to get the attention of his viewers unblinkingly in this tale of broken relationships, unsaid and hidden feelings of love, hatred. The inevitable decadence of marriage befalls on you as the film walks with you through suppressed emotions, teenage complications and innocent ignorance. The use of glasses is clear, both visually and metaphorically throughout the film and as the director spoke about it in the festival (The Iranian filmmaker, Asghar Farhadi was the chief guest if MAMI), the significance is very relevant to the very nature of the film – where people talk and talk and nobody understands the other. It is worth every second and a film you must watch, an experience you won’t forget. Now, this came as a surprise. One, I did not expect I would love it so much. Two, it was not even a feature film! I know that sounds a little stupid. But you have to watch it to believe me. Powerless is not really a docudrama but gives you a feel of it and strikes the right chords with its effective story telling. 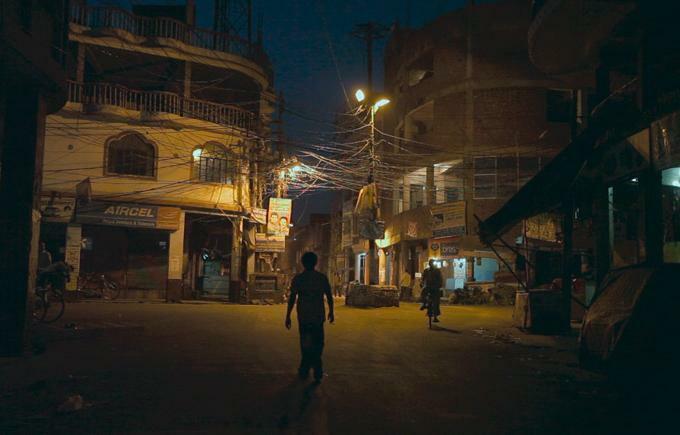 Powerless / Katiyabaaz is an objective take on the issue of habitual power cuts in Kanpur that goes up to 15 hours a day. While Loha, one of the many (but one the best too) katiyabaaz (an electrician who steals electricity), plays Robin-hood figure by charging the rich to provide free power connections in poor neighbourhoods. On the other hand is the first female chief of KESCO (Kanpur electricity supply company), Ritu who has vowed to clean up all illegal electricity connections, a first step forward to eliminate powerlessness. The story of both sides comes as a sensible, informative, hilarious and gripping tale of the city’s predicament, from the people deprived of it to the officials responsible for it and of course, the politics that makes it all the more interesting. Where do I start from? Ok, let me try. 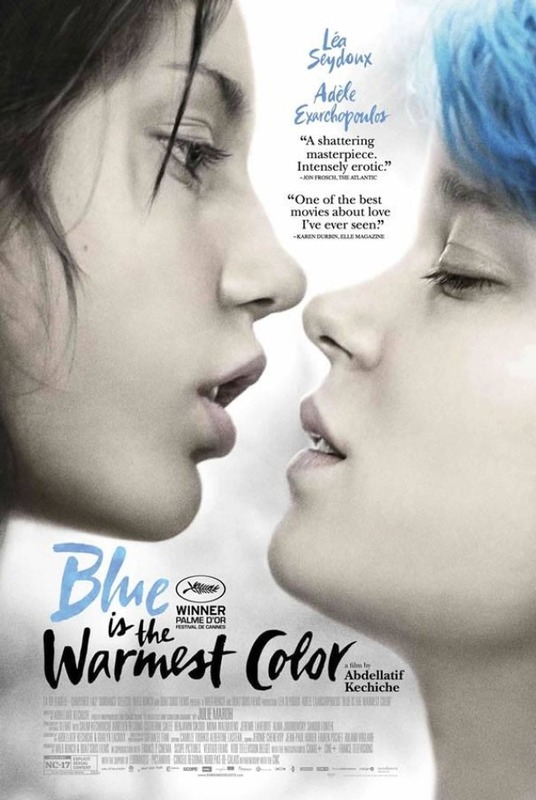 So, Blue is the warmest colour is the story of a 15 year old girl (seriously!?) who is curious about her sexuality when she falls in love in the very first sight with a blue haired tomboy, Emma. It is the story of their love, passion, separation and denouement like no other. Adèle is one of those girls who makes people curious of who she is. Its not deliberate. While she may appear to you as a girl who does not much to say, here is Adèle with opinions about everything and very strong ones there. She is headstrong and a character that the director has explored in every possible sense through this film. What do I say about Emma? I fell in love with her. She is an artist, romantic and a wonderful lover. The film explores their relationship, emotionally and sexually, from Emma’s deep ideals and greater causes to Adèle’s need to have simplicity and happiness called Emma in life.